Home » Moon » Lunar-Planetary Conjunctions » The Moon Passes Jupiter – Tuesday, February 23! The Moon Passes Jupiter – Tuesday, February 23! 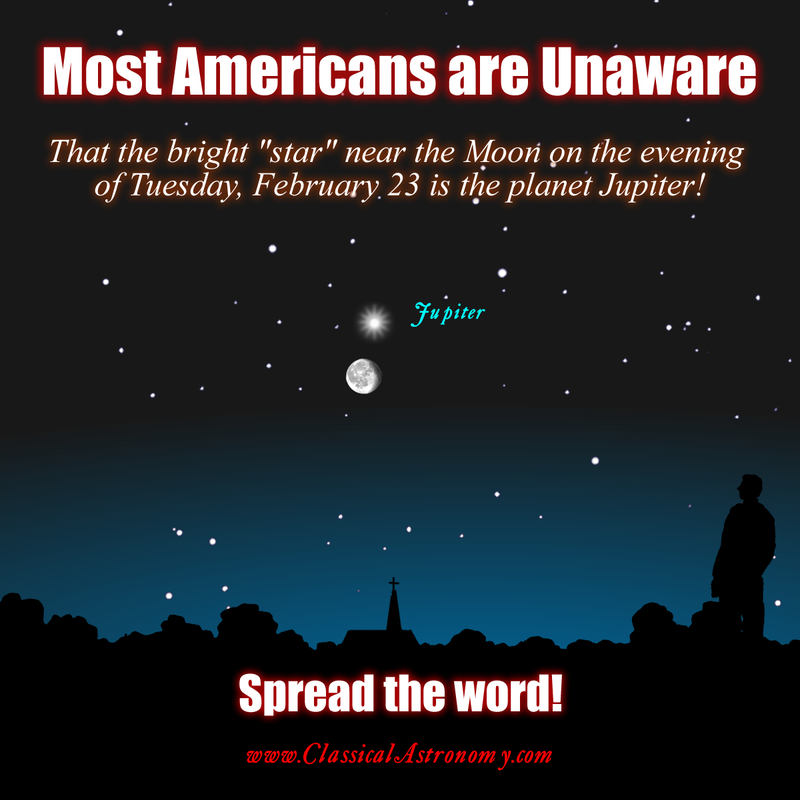 The evening of Tuesday, February 23 is the monthly conjunction of the Moon with Jupiter. Jupiter is famous for being a picture in a textbook and as subject of NASA exploration. However, for whatever baffling reason, it is NOT famous that Jupiter is in the sky just about every night of our lives, and that the Moon passes this blazingly bright “star” every month. Make a note to look for Jupiter next to the Moon on Tuesday night, and tell all your friends!